So this morning I fell down a flight of stairs at the park on my jog with Harley. My ankle is the size of a grapefruit and I’m starting to go purple from all the bruising. THEN, while flat on my back, ankle iced & elevated, I find out that Monday night’s (Aussie time) episode of True Blood was the season 6 finale! Kick a girl in the arse why don’t you world. I’ve long since come to terms that the show is so far off base from the books; “it’s like a thing from another tax bracket”. But series creator Alan Ball is a genius when it comes to keeping the show’s fans entertained through the off-season. 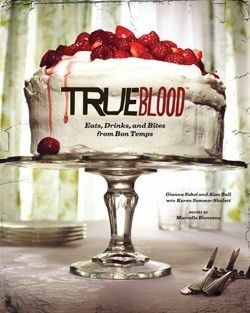 Released last year, True Blood: Eats, Drinks and Bites from Bon Temps is a cook book designed to take you into the culinary heart of southern cooking. Alan Ball grew up in Georgia on a steady diet of “fried food, stuff that was stewed within an inch of its life, everything was full of salt … and it was delicious.” I’m fairly certain if you cooked regularly from this book you’d end up looking like Hoyt’s Mama! It doesn’t sound like it’s for the health conscious but the idea of cooking fried chicken from Merlotte’s, Sookie’s Grandma’s pecan pie or a blood thirsty cocktail from Fangtasia sounds pretty fun! We are waiting on the return of “The Walking Dead”! Oh yes Antionette, me too!!!! I love Daryl! 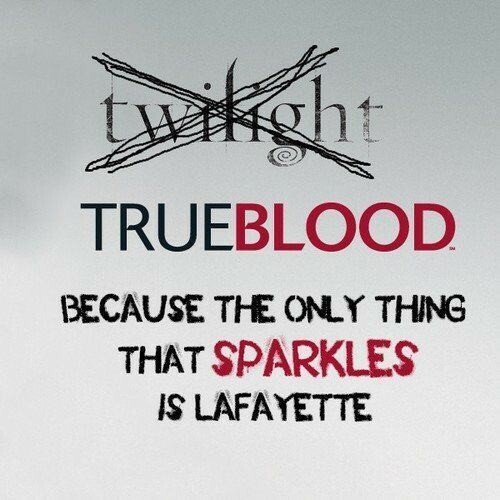 I like The Walking Dead, but just couldn’t get into True Blood and only watched S1!